Read this post to the end for a 20% discount code! 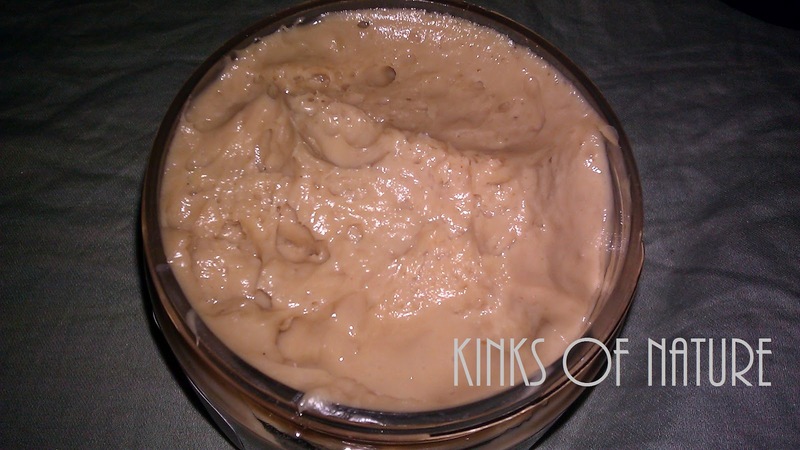 Coffee & Kokum Moisturizing Deep Conditioner in Chocolate: YUUUUUUMM!!! It smells like chocolate mousse cake and looks like it somewhat also. It's very thick. I can't wait to try this. It might give one of my HGs some competition. 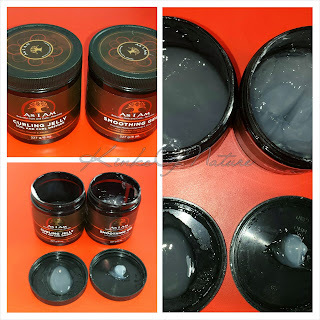 Twist & Loc Moisturizing Cream in Essentially Peach: Again YUUUUMMM!!! This smells like peach pie and ice cream. The fragrance is very light and not overpowering. It came with plastic spatulas. Using the spatulas will help prevent getting water in the product and any not-so-pleasant visitors that are on your hands. This one is also very thick. 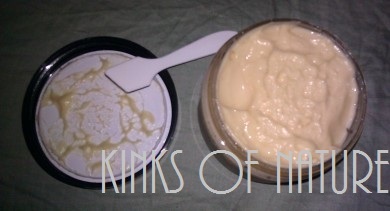 Whipped Avocado & Murumuru Hair Butter: The butter arrived melted, but that can be expected with 90+ temperatures. It has a faint powdery-sweet scent, but I'm not sure what exactly. I used some on my hands, and there was no greasy residue. I'll be using all of these this weekend and posting a follow-up review. 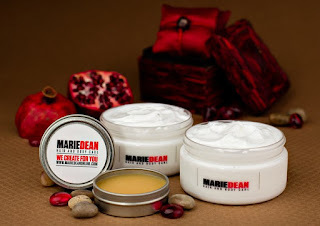 In the meantime to my readers, enjoy 20% off of Marie Dean products on mariedeanoline.com and http://www.etsy.com/shop/mariedean using the code "KINKS20"! The code is valid now until August 31, 2012. 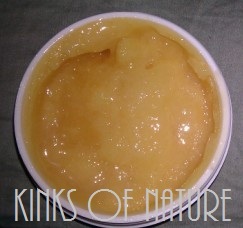 Be on the lookout for a giveaway announcement coming soon for Marie Dean Papaya Mango Conditioner 8oz. Right! I'm actually looking forward to my wash day this week just so I can try it. I'm all for buying during sales to save. I know their last one was 25% off. You can use the KINKS20 code until the end of August for 20% off. I think the gift set will be a good way to try more than one product and get a feel for which ones work for you.